You will provide your character registration here. Please use the code below to submit your character. You are required to read, understand, and follow all the rules of this topic. As such, you are required to say that you have read, understand, and will follow the rules inside of this topic's spoilers. This is listed inside of the code so you cannot forget. Description: Describe your characters typical clothing, appearance, et cetera. Biography: Adescription about your character's family, upbringing, and life up to the point of the rp. • For the description field, do not include an image of them here and do not steal the appearance of a character from a TV show. Your descriptions must also be clear. • Your character can be whatever you want them to be (within reason) but they may not be super human. No abnormal, mythical, paranormal or super-powered characters. • You may not copy another member's character. • If your going to be brothers or family with another character you the approval of that character's rper first. *Your character is subject to death inside of this rp. Depending on how that happens you may or may not be allowed to create another character to rejoin the rp. Please ask when and if this comes up. Biography: In his home town on a far off island, the place was susceptible to bandit attacks, This time when we were attacked by the group of bandits, they came with the intent to kill and destroy, me and my friends took refuge in an old church,after hours the gunfire and explosives stopped and we thought we were safe but the last explosive detonated was at the weak structural point of the church which kept it standing and as the explosive detonated and stain glass shatter and was propelled at high speed and everyone seemed to come out without too much damage except him whose whole left eye was shredded into oblivion and as we thought the worst of it was over the church collapsed which smothered me and my friends under a pile of rubble, he managed to dig my way out barely holding onto life when he looked around, he saw no sign of my friends or my town for that matter all that was visible were piles of burning rubble as he looked around as much as he could for his friends he couldn't find them and from fatigue and blood loss he collapsed but just then he here something calling as though something here was alive, as hr slowly dragged his dying body over to where he felt called to there was a card, a card that even surrounded by fire was not burned, a card that was also pair with an other item, a choker, both were placed on a mound of rocks that looks almost like an alter as though it was offered to me and as he grabbed the card he felt great relief and finally collapsed,when he came to he was in hospital with serious injuries to his left eye, doctors saying he will never see out of it again, but with to add to his despair, he was the only survivor from the church, the only other thing that survived that day was was the card at which this very moment is still grasped tightly in his hand, Big eye. before the tragedy his family barely made ends meat providing for a family of 8 so Raviel, being the oldest, took a job working as a errand boy for a wealthy entrepreneur on the island where he picked up from the man the trends of the market and and consumer needs and wants when he finally left the island he used his vast knowledge of the market he made it big in the work and made enough money for him and his family to live off of, for having lost his childhood in the process Raviel took an interest in card games and now finds himself after honing his skills entering a new place to meet new people and have lots of friends. Description: Long brown hair down to his waist, dark brown eyes almost black, a tannish cloak, no shirt underneath the cloak, arms hidden in the cloak, red pants with star belt straps on them, and 2 star earrings. Biography: Zeke was a boy who had a rough life. His parents hated him his twin was to lazy to care about anything. His anger always bested him one day he got a card darklord desire and he swore he would collect them all, and prove strength is all you ever need to survive. Once he collected the cards he defeated his brother, and parents with ease. He left home saying "your no longer of use to me i need a better challenge" he went off wandering, traveling, and defeating many of his enemies only to feed his hidden flame of hatred, anger, and wrath with his lust for power. Biography: when he was 6, Akito was taken away from his brother by his family and sent to a foster home .There he had a hard life and his foster mom was pro. One day at the age of 11, in his back yard he found a white card on the floor calling out to him.He want and picked it up the a black cloud appeared and taken over his body. Slowly take over by the years ,Akito by day look and acted like a normal boy but by night he started stealing money and thing to make his life better. His mom alway ask how he keep getting the money . He could never remember how he got it. 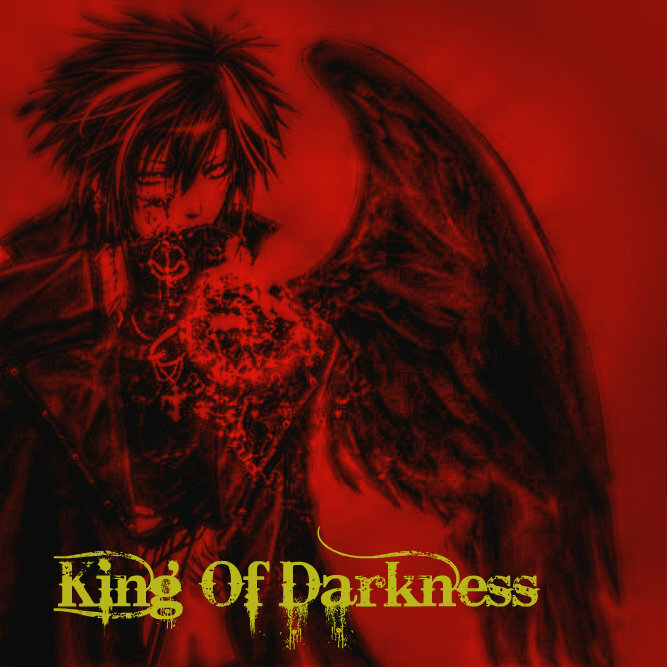 When his mom died it sent Akito over the edge he give in to the darkness and now is able to use the power when ever he wanted. Comeing across the 5 seal of Orichalcos he had the tools to take over the world that has taken everything away from him and throwing him away. Wearing a mask To hide who he is become the king of darkness.Now putting together his team he he slowly starts to take in the souls of the weak and gove the dark power to the people he wants to join his team. Description: Long green hair, green eyes. pale skin. Light green cloak, same shade of green shorts, brown sneakers, a brown European satchel around his waist, and one black legging on his left leg. Biography: Riley O'malley is a duelist from Ireland. When he was 5 he built his gusto deck. ever since he as been dressing like kamui hope pf gusto. sometimes he even has his hair like her's. For years he has been cross-dressing, no one knows why he just does. One day, before they broke up, his girl friend gave him a card, a card named Ultimate Axon kicker, even today he loves the card because of who gave it to him. Attitude/ Personality: Hot headed, happy-go-lucky. Description: Brown flat hair, Denim Blue Jeans, Comfy Blue longsleeved shirt inside and a shortsleeved shirt outside. With converse shoes . Biography: Ginzou was a average boy. Both his parents loved him and his father was a card collector. He had many friends. He enjoyed playing duel monsters (YGO) so much that he made a duel monsters (YGO) fanclub there were many members of his fanclub. But one day, a boy named Kintaro came and beated every single member of the fanclub. Ginzou was heartbroken. Everyone left him. From that day onwards he vowed that he would one day bring the club back. A year after that incident, he found two cards who spoke to him, they said they were brothers of the stars ,shooting star dragon and stardust dragon, and said they have been watching Ginzou duel for a while they finally decided that he was worthy. Ginzou accepted the request and ever since then had been the best duelist in his street. He knew if it was never for them, he couldn't have achieved this power. Now, along with stardust and shooting star dragon, he is traveling across the world finding the mysterious boy. Deck Type/Key Card: Dragon/Blue eyes ult. Description: She has long white hair up to her feet and has black tips at the bottom. Her hair is also in a ponytail with her bangs covering one of her eyes. Her eye color is a dark blue like the sea. And is always seen wearing A light blue dress with a black heart in the middle. Attitude/Personality: Yoh is a Lazy Down to earth guy he would rather listen to music then get into trouble, but when he duels he is like a whole new man ready to beat anyone in his path. Description: Yoh has semi long hair to his neck, dark brown eyes almost black, headphones around his neck, a white shirt, and jeans. Biography: Yoh was the only one of his family who cared for his brother Zeke that is why it hurt him the most when his brother defeated him, and his parents and left. After that day Yoh swore he would find his brother and show him that he has a home and he doesnt have to run. he began training and soon he came across a rare collection of cards the main card being Evilswarm Ophion, he purchased the collection and trained day and night till he knew he could prove to his twin he had a brother who cared. That is when Yoh set off to look for his brother Zeke and finally prove to him they would be stronger together rather then apart. Description: Short Messy Bed-Head hair, baggy jeans, depending on the weather sandals, if not, skate shoes. Wears a beat up (now dark) orange heavy weather jacket with a white shirt underneath, and has a skeleton key hanging around his neck. Biography: Xavier loves music and surf's year round no matter what the weather. He was born on the north shore of Oahu, Hawaii and came to this city to find someone that could possibly give him an actual challenge in duel monsters. When he was young he, his board broke while surfing mavericks a couple of miles off the north shore and got lost at sea. A boat found him and told him he was on the other side of Hawaii. They ended up teaching him how to play duel monsters on the way home and gave him the elemental hero divine neos, telling him to use it well and make them proud some day with it. He is here now to fulfill that promise and become a world renounced champion! Attitude/Personality: Kind, but can become serious in certain situations. Description: Brownish red hair, red shirt, red eyes. Biography: For many years, Aero has never been loved before, and was always looked down at for being a duelist. His parents has disowned him since he was 3, and he lived in an orphanage. One day, he was adopted by a rich family who would give him anything he wanted, and he knew what he wanted: his own deck. However, that was one thing his family didn't give him, and he ran away from home at age 13. While it was raining one day, he met a girl, who showed him what love was, and he decided to be with her. She gave him a Volcanic deck two years later as a birthday gift, and decided to start his journey as a duelist and become the best for his girlfriend. Attitude/Personality: Calm, confident, and almost sure he can win any duel he is in. Has some trust issues but judges a person by their duel style and deck. He is someone you need to know before you make any judgments. Description: Long white hair and dark blue eyes. Black shirt, black jeans and black steel toed boots. Has a framed copy of Light and Darkness Dragon around his neck. Biography: His parents were never home and end up joining a cult when he was around ten. He got involved in shadow duels when winning regular duels and wanted to up the ante. When he found out he was sending peoples souls to the shadow realm he tried to free them from their torment. He made a pact with the spirit of his favorite card , Light and Darkness Dragon, and entered the shadow realm himself to absolve for his sins. He stayed there for one year, enduring hell itself and gained insight on what he did to the victims of his actions. He still is bound by his pact, and will use this power to judge the unworthy in shadow duels. Attitude/Personality : Prefers to be alone, quiet and when he speaks always tells the truth in a mostly negative way. When dueling is quite emotionless and only focuses on winning. Description : Short grey hair with dark grey eyes. Wears black hoodie, grey jeans with diamond like cups on his knees and white boots. Biography : When he was younger he was in a dueling group with many members having fun by the name of "King Quests". One day a mysterious member by the name of "Reiz" joined in search for "new ideas" and everyone assumed a new deck type. A month later incidents started happening where people would disappear. Slowly day by day members would disappear until it was only Kain, his best friend and Reiz left. At their "headquarters" Reiz had asked Kain's friend if he wanted to have a duel later and keeping in the dueling spirit accepted. They agreed on dueling later that day. As Kain was walking home he heard a scream of pain and rushed towards. When he arrived at the scene he saw his friend and Reiz dueling. Red-Eyes Metal Dragon on his friends side of the field while Reiz had Chaos Sorcerer. It looked Reiz was going to lose until he used a mysterious card called "dark soul merge" and with that everything turned dark. When he woke he only found a card on the ground and had realized what had happened. As he picked the card up by the name of "Red-Eyes Darkness Metal Dragon" he made a promise to himself that he would find Reiz and get revenge as the last member of King Quests. Description: Blonde hair cut straight, Black vest with torn sleeves, Blue Baseball jersey under the vest, White pants, Red shoes, 6'3" and 99lbs. Biography: On his 10th birthday, his entire family died. Yes, it is sad. He was sent to a foster home and was eventually adopted by a baseball coach and his wife. He was dueling from the age of 5, but after taking up baseball his skills were severly hindered. He tries his best however. Sure, he comes up short and bluffs, but its all fun and games. Drake has special ties with Serpent Night Dragon. One day, his baseball team went to the championship. It was a first for Drake, and boy, was he nervous! He went up to bat and got set. He struck out. It wasn't a normal strike either. It was swing, swing, swing, miss, miss, miss. His whole team bullied him as he walked back to the dugout with tears in his green eyes. After the game, he ran. He ran straight to his house and hid in his closet for the rest of the day. The only thing in there with him was his clothes, some dust, and Serpent Night Dragon. He held the card and cried. He vowed that, with Serpent Night Dragon as his partner, he would become the best in the world in dueling and baseball. He enrolled in Champion Duel Academy and his ready for it all. Attitude/Personality: When he duels he has a dark lust for victory. He's serious and doesn't care for others. Description: Spikey blonde hair with a strand of black hair. Wears a sleaveless white hoddie, with black jeans and Nicks.